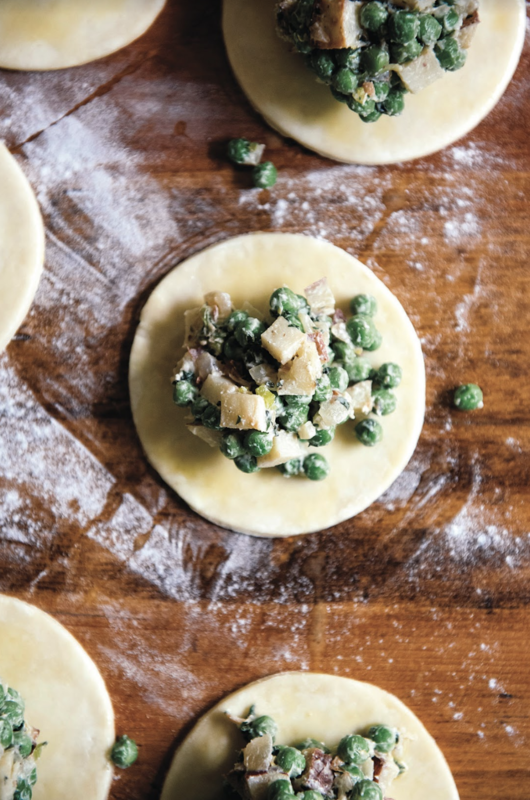 The very first warm weather brings a welcome harvest of fresh shell peas to Michigan, where Sister Pie’s Lisa Ludwinski gives them a starring role in her Detroit bakery’s minted pea and potato hand pies. 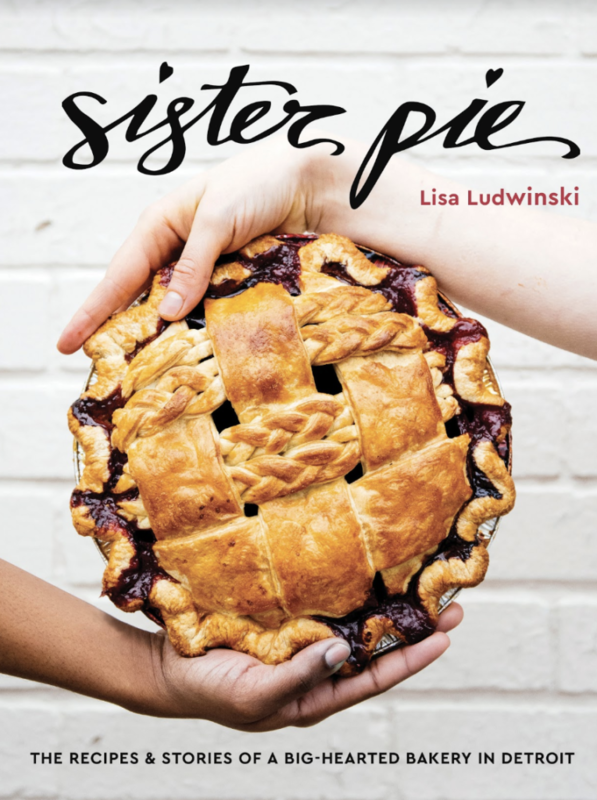 “Fresh peas are so perfectly bright, big, and crunchy,” says Ludwinski, who includes the recipe in her baking cookbook Sister Pie. “To me they taste like spring. It takes time to shape the individual pies, but it’s an investment that pays off in a comforting treat that can easily be dressed up for dinner parties. Ludwinski serves the hand pies alongside a big green salad with citrus vinaigrette and radishes—another flavorful reminder of the changing season. As a make-ahead trick, Ludwinski suggests freezing the hand pies before they’re baked, storing them until you’re ready to eat, then transferring them directly to the oven. By the time you’ve chilled your wine—she suggests a glass of pinot gris or chardonnay—you’ll have a freshly baked pie that’s an elegant, easy meal all its own. Pair with buttery and complex Valley of the Moon Chardonnay, Sonoma. Preheat your oven to 400°F. Place the potatoes on a baking sheet and toss evenly with 1 tablespoon of the olive oil, 1⁄2 teaspoon of the salt, and 1 teaspoon of the pepper. Transfer the baking sheet to the oven and roast for 40 to 50 minutes, until the potatoes are fork-tender and beginning to look crispy. Set the baking sheet on a wire rack to cool. You can roast the potatoes up to 2 days in advance and store in an airtight container in the refrigerator. In a large sauté pan over medium heat, melt the butter and remaining 1 tablespoon olive oil. Add the onion and cook, stirring occasionally, until translucent. Add the garlic, scallions, and lemon zest and cook for 1 minute longer. Season with the remaining 1⁄2 teaspoon salt and 1⁄4 teaspoon pepper. Add the peas all at once and stir to mix. Cook for 5 minutes, until the peas turn very bright green. Add the mint and cook for 1 more minute. You can cook the peas up to 2 days in advance and store in an airtight container in the refrigerator. In a large stainless steel bowl, combine the flour, sugar, and salt and stir to mix well. Place the sticks of butter in the bowl and coat on all sides with the flour mixture. Using a bench scraper, cut the butterinto1⁄2-inch cubes. Work quickly to separate the cubes with your hands until they are all lightly coated in flour. Grab that bench scraper once again and cut each cube in half. I always tell my pie dough students that it’s unnecessary to actually cut each cube perfectly in half, but it’s a good idea to break up the butter enough so that you can be super-efficient when it’s pastry blender time. At this point, add the water-vinegar mixture all at once, and switch back to the bench scraper. Scrape as much of the mixture as you can from one side of the bowl to the other, until you can’t see visible pools of liquid anymore. Now it’s hand time. Scoop up as much of the mixture as you can and use the tips of your fingers (and a whole lot of pressure) to press it back down onto the rest of the ingredients. Rotate the bowl a quarter-turn and repeat. Scoop, press, and turn. With each fold, your intention is to be quickly forming the mixture into one cohesive mass. 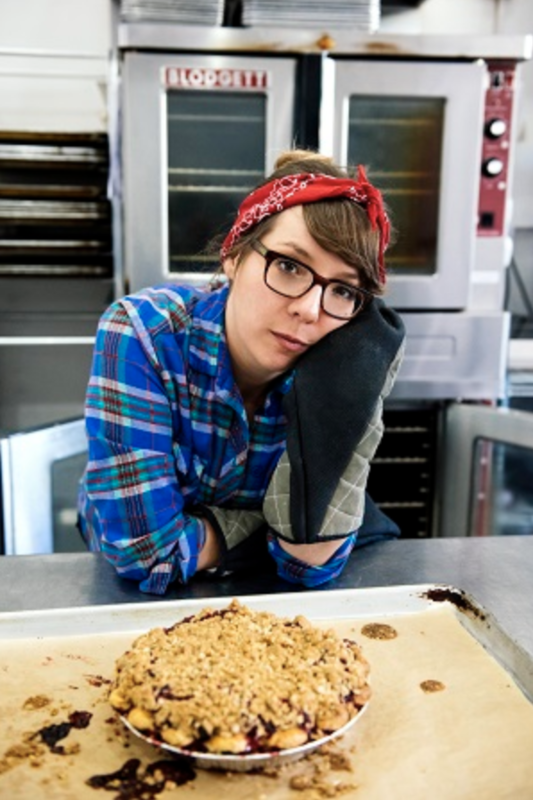 Remember to incorporate any dry, floury bits that have congregated at the bottom of the bowl, and once those are completely gone and the dough is formed, it’s time to stop. Remove the dough from the bowl, place it on a lightly floured counter, and use your bench scraper to divide it into two equal pieces. Gently pat each into a 1-inch-thick square, working quickly to seal any broken edges before wrapping them tightly in a double layer of plastic wrap. Refrigerate the dough for at least 2 hours or, ideally, overnight. When you go to roll out the crust, you want the squares to feel as hard and cold as the butter did when you removed it from the fridge to make the dough. This will make the roll-out way easier. You can keep the hand pie dough in the fridge for a few days or in the freezer for up to 1 year. If frozen, remove the dough and place it in the refrigerator to thaw one full day before you intend to use it.